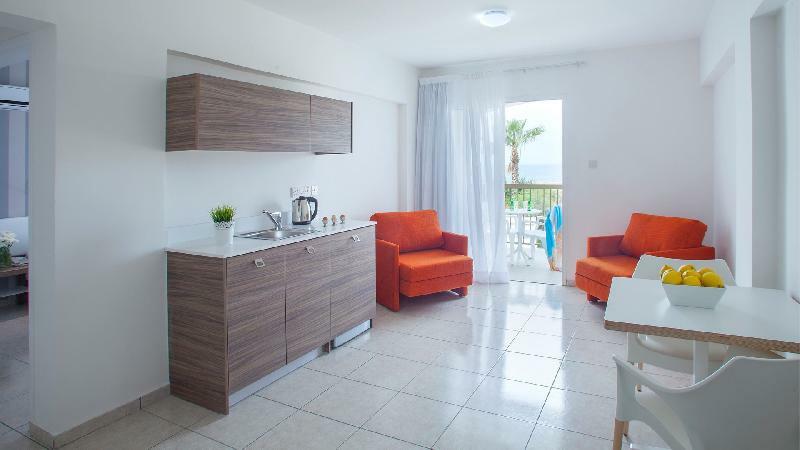 In the heart of the tourist area of Paphos, an apartment complex “Princessa Vera” finds itself in a quiet corner with the beautiful view of the crystal blue sea. Princessa Vera offers a place of relaxation and coolness due to its light colours, green lawn, flower beds and most importantly its welcoming staff. The apartment complex is an example of a modern style hotel. 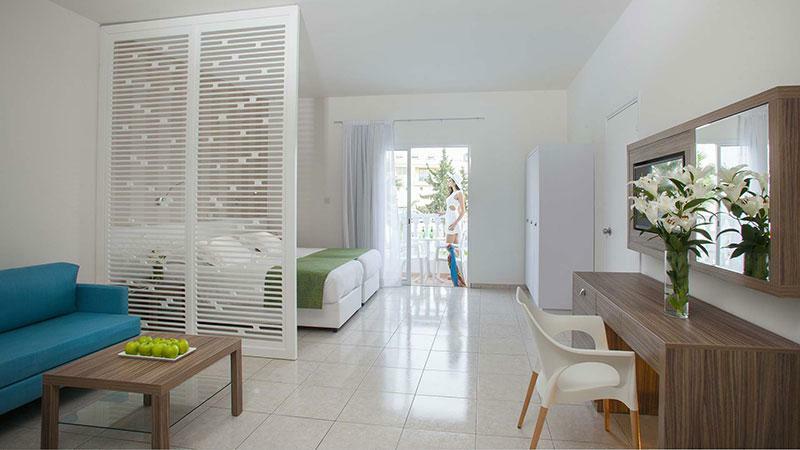 It consists of a roomy hall and rooms of three different categories. Moreover, there are two swimming pools; relaxing area and games area. “Namos” restaurant is available for breakfast, lunch and dinner, while Harley’s bar offers a la carte menu for every taste. 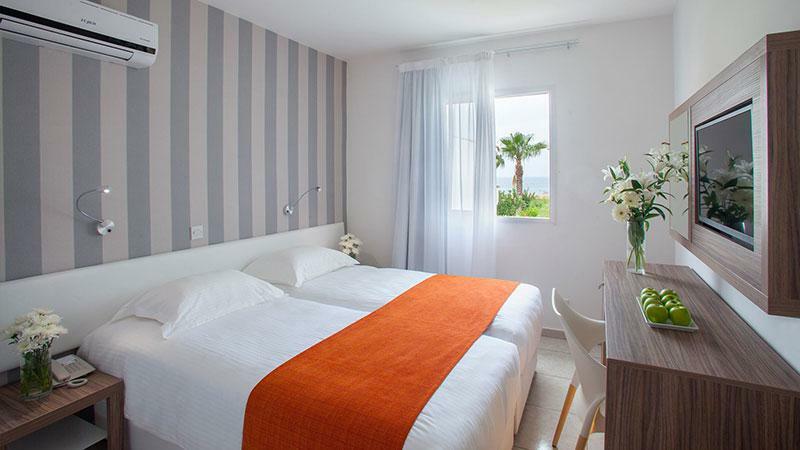 A benefit of the hotel is its convenient location in the city, as it is situated in the main tourist street and is accessible to public transportation. Additionally, all the important archaeological sites are within walking distance; such as the Tombs of the Kings, the Archaeological Park with the Mosaics House, the Catacombs of St. Solomon and the Medieval Castle. Shopping goers have the opportunity to experience the newly built Shopping Centre of Paphos, Kings Avenue Mall; while the younger guests can enjoy the Aphrodite Waterpark. 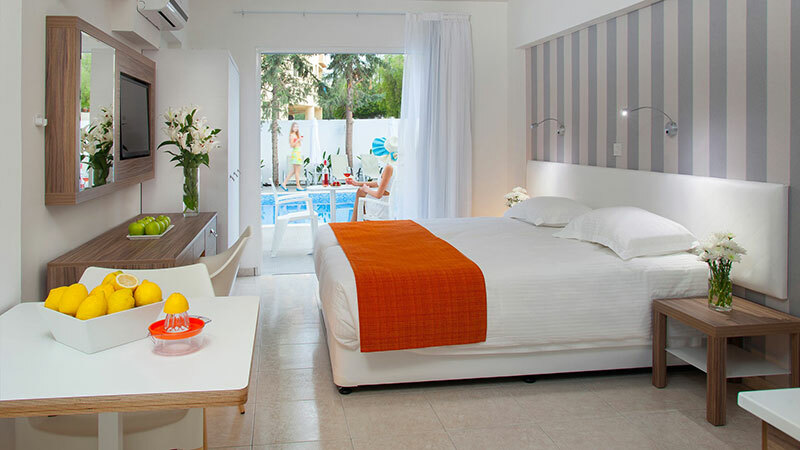 An advantage of the hotel is its incredibly convenient location in the city. Located on the main tourist street, where many bus stops are allowed you to easily move around the city. All important sights are nearby: Tombs of the Kings, Archaeological Park with Mosaics Houses, Panagia Chrysopolitissa Church and St. Paul's pillar, the Catacombs of St. Solomon, the Medieval Castle and much more. It is very close to the harbor promenade and a line of shops, cafes and restaurants. Shopping goers will find open doors of recently built the largest supermarket in Pafos the Kings Avenue Mall. And the younger guests will enjoy Aquarium, Water Park "Aphrodite", sea pirate walks. 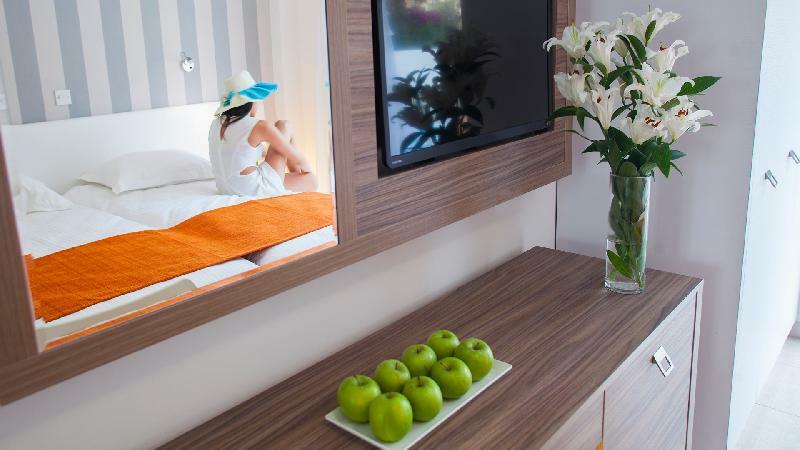 We will open an interesting world for you and make your stay happy and successful!